Explore the Aviation Experience with this interactive guided tour. Learn about different aspects of the aviation industry, including what happens to aircraft on the ground, the roles and responsibilities of cabin crew and the advances in aircraft technology. 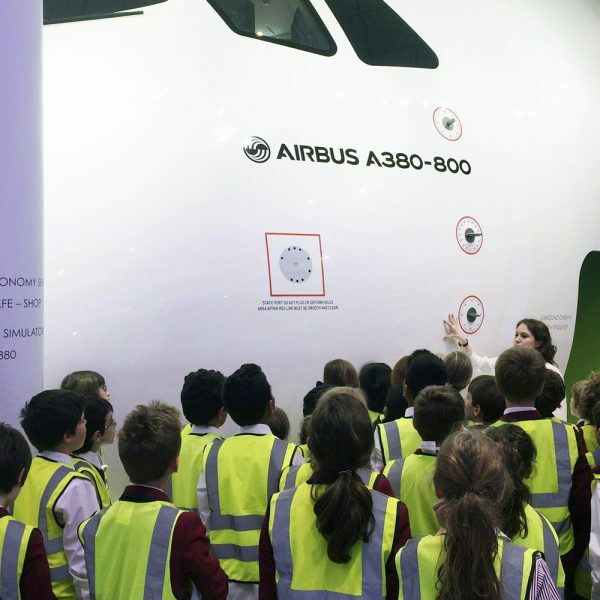 Then discover the science behind flight and examine a real Rolls-Royce jet engine. This session is accompanied by a range of props and equipment to help make full use of the exhibition. Learn the science of aviation in this interactive workshop. Explore the forces needed to generate flight and the crucial factors they require such as air, aerodynamics, ideal gases and science laws. Discover how aircraft are designed, analysing critical structural elements. Finally examine a real Trent 900 jet engine and learn how the essential forces of lift and thrust are created. Learn about how the aviation industry is reducing its carbon footprint in this interactive workshop. Look at the new strategies being adopted by the aviation industry. Then examine aircraft designs and new recyclable fuels. Finally explore jet engines and the advances they are making in sustainable travel, while examining a real life Rolls-Royce Trent 900 engine up close. Immerse yourself in the travel and tourism industries in this practical workshop. Discover the developments in sustainable air travel, ranging from aircraft design to Emirates Airline’s Environment Project. Then explore the rise of sustainable and eco-tourism before, in groups, you design your own eco-tourism holiday destination. Immerse yourself in the aviation and travel and tourism industries in this practical workshop. Discover the developments in air travel, explore Emirates destinations and the importance of different tourism locations around the world. Finally explore the world of Emirates cabin crew. Examine their different roles and responsibilities before learning about the recruitment and training required to become a member of Emirates cabin crew. Learn about Emirates Airline and their customer service employment roles in this interactive workshop. Firstly find out about the different roles that Emirates have within an Airport, from check in to baggage collection and the role of dnata(Dubai National Air Travel Agency). Then move onto Emirates Cabin Crew and examine what it takes to become a member of Emirates Cabin Crew, their roles, responsibilities and recruitment. Complete this session with some scenario based customer service practical’s to prepare you for the roles ahead. Adult prices: 2 accompanying adults are free of charge. 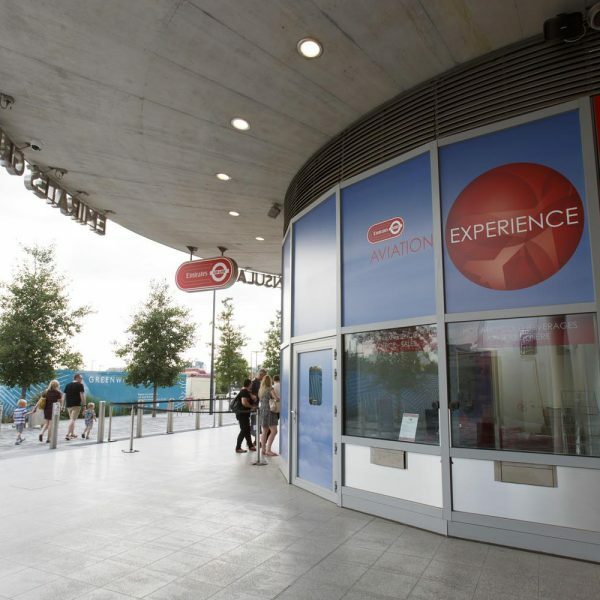 Additional adults are £3.00 per adult. Student numbers: Minimum of 10 students per session. Maximum of 30 students per session. We accept payment by credit card, cheque or BACS. Please ensure that your payment reaches us no later than two weeks before the date of your session. After the session your group will have the opportunity to visit our gift shop. You can also pre-book one of our souvenir packs, just make sure to add it into your education booking form. For more details about our souvenir packs please contact us. Learn all about working as a member of Emirates Airline Cabin Crew in this practical workshop. Begin by learning about the daily lives of Emirates Cabin Crew, their routines, roles and responsibilities. Then discover what it takes to become a crew member, from standard requirements and assessment activities to personality traits and training tasks. 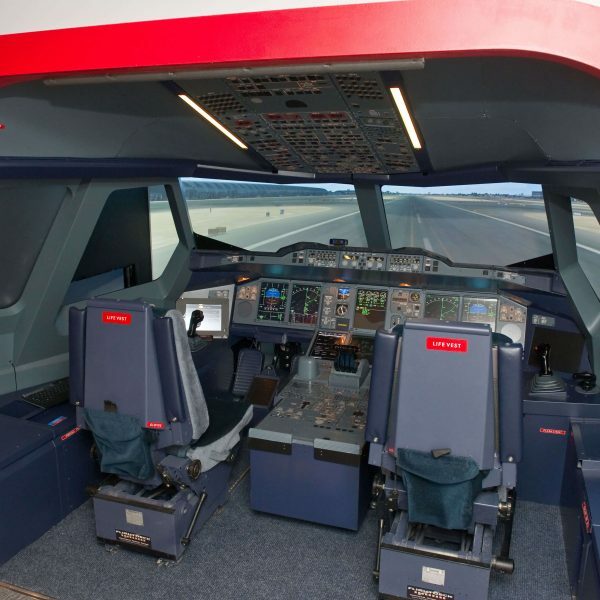 Let this hands-on workshop provide you with the knowledge you need to work for Emirates Airline. Adult prices: Accompanying adults are free of charge on a 1:12 ratio. Additional adults are £3.00 per adult. 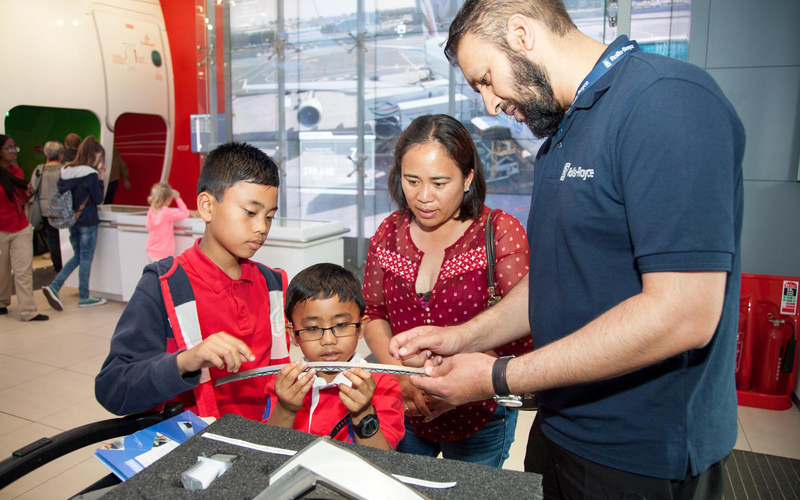 Fully explore aviation with a full day session, made up of a Guided Tour, a Workshop, a Simulator Experience and time to explore our interactive exhibition. Explore some of the various aviation career options available you through this joint education programme between the Emirates Aviation Experience and London City Airport. Read our Education Documents and Terms and Conditions to make sure you get the most out of your visit. Do you have more questions? Have a look at our Frequently Asked Questions page. Ready to book your programme? Ready to bring your students? Fill in our online form to enquire about availability. 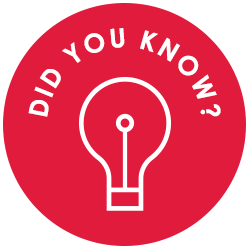 Some bags can travel up to 30 miles and pass through 12,500 tunnels and still be loaded onto the aircraft around the same time as the passengers. Did you not find what you were looking for in the FAQs? For any further questions you can email us or call us on 020 3440 7022. 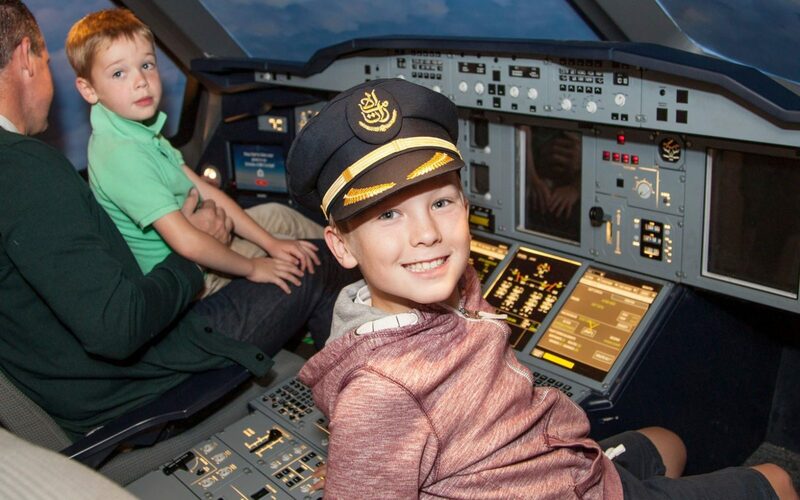 Offer your budding pilots an unforgettable party experience!